1.To present and to analyse, in a critical manner, that part of the published literature which is relevant to your research topic and which acts as the basis for a fuller understanding of the context in which you are conducting your research; thus helping the reader to a more rounded appreciation of what you have completed. Remember critical does not mean looking at the negatives but forming an evaluation. 2.To act as a backdrop against which what you have done in the remainder of the dissertation may be analysed and critically evaluated so as to give the reader the opportunity to assess the worth of your writing, analytical and research skills. 3.To show that not only have you discovered and reported what you have found to be relevant in the literature search, but that you have understood it and that you are able to analyse it in a critical manner. 4.To show that your knowledge of the area of interest is detailed enough that you are able to identify gaps in the coverage of the topic; thus justifying the reason(s) for your research. 5.To show that you know what the key variables, trends and ‘actors’ are in the environment of your study, i.e. you show that you know what the important issues are that need to be investigated. 6.To enable readers to be able to measure the validity of your choice(s) of research methodology, the appropriateness of the process by which you analyse your results, and whether or not your findings are congruent with the accepted research which has gone before. 7.The literature review is presented in the form of a précis, a classification, a comparison and a critical analysis of that material which is germane to a full understanding of your research study. 8.Such published material may be drawn from all, or a combination of, textbooks, journal articles, conference papers, reports, case studies, the Internet, magazine features or newspaper articles. 9.It should be remembered, however, that the most important source of academic literature are journal articles and you should ensure that you are familiar with the most recent publications in journals relevant to your subject area. 10.Remember that your literature review should lead and justify the research objectives and questions of your dissertation. 11.Your literature review should not just be a catalogue of authors, frameworks and ideas but should attempt to introduce a critical evaluation of those authors work. Organizations are working hard to be successful and out-compete the competitors in the same industry. Organizations are striving to be the best and lead in the globe market. In order to achieve this, organizations must have the right employees. It is through employees that a company can meet its goals. Employees are now known as the most valuable asset of an organization. There is an emerging trend of treating employees as the human assets because the success of any organizations depends on the appropriate utilization of the human assets. As a result, training and development is an effective method of improving the performance of employees. Training and development are used to improve the ability, wisdom, and skills of the human resource. Training enhances the performance of employees. It polishes the skills of workforce making it the most important factor in employee performance. The State of Qatar is an oil-rich country. The main source of income is the natural resources and heavily relies on the oil industry. Oil prices are experiencing a sharp increase in the global market (Cafiero 2016). This has had a huge impact on countries that rely on oil as the only source of income. Countries such as Saudi Arabia are looking for alternative sources of income and reducing the dependency of the country on oil. Future development of Qatar is important to ensure that Qatar fully utilizes its resources, Qatar must continue benefiting from its natural resources, and this is only possible through improvement of human capital. One of the main ways of improving human capital is through education and training. The falling oil prices have greatly impacted on the performance of companies in Qatar. Some organizations have reduced cost by reducing the workforce. Reduced workforce couple with a poor performance of organizations has resulted in low employee morale (Chaibi & Gomes 2013). Companies must come up with right strategies to continue being relevant in the market and raise revenues. Training and development are essential in the Qatar industry to improve the performance of employees. The main aim of this literature review is to review past studies on the role of training and development on the performance. Oil, natural gas, and related companies are the backbone of the Qatar economy. The oil sector contributes 95% of the total government revenues (Cafiero 2016). Recently, oil and gas companies have faced numerous challenges. The companies are experiencing a sharp decrease in revenues due to the reduced oil prices. Additionally, employees are leaving the industry making it difficult for these companies to retain most valuable employees (Chaibi & Gomes 2013). Oil companies are now reorganizing to retain top performing employees. According to Jolo (2013), there is no link of communication between Oil and Gas Bases Industry and education institutions in Qatar. As a result, education institutions are failing to provide oil companies with workers equipped with the right skills. Education institutions are successful in equipping workers with general skills, but the oil industry requires workers who have certain technical skills. Jolo (2013) noted that the skills that are demanded by the oil companies are technical and they supplied moderately by the education institutions. There is a gap in skills because the institutions do not fully equip students with technical skills that are required in the oil industry. Companies are expected to offer training and development programs to ensure employees develop the specific skills that are required in the industry. Lack of training and development has been cited as a major obstacle to the development of workers competence and performance in the Qatar oil industry. Rodriguez and Scurry (2014) looked at various empirical studies conducted in Qatar on training and development and noted that there is a huge skills gap in the oil industry. Rodriguez and Scurry (2014) noted that to match the skills gap between education institutions and companies, training and development is not an option in oil based companies. Qatari workers require a special type of training in order to fit in the oil industry. According to El (2015) research conducted in other oil based countries show that development and training are critical in enhancing the motivation of employees. Research conducted in Oman concluded that employees are not only concerned about monetary benefits but the non-monetary benefits are equally important (El 2015). An Oman-based oil company was used to conduct research on the factors that motivate employees in the oil industry. The study concluded that employees are looking for organizations that will empower them through training and development (El 2015). Rodriguez and Scurry (2014) point out that in an empirical study conducted in UAE, it was concluded that money is important to employees but it is not sufficient to retain employees. The study showed that training and development played a key role in employee retention in the oil industry. Training and development empowered employee and equips them with skills on health and safety. Additionally, it improves their competence and enhances the productivity at the workplace. This ultimately results in a high retention level. Based on studies on the impact of training and development in oil industry one can point out certain challenges. There is a need to identify the specific training and development strategies that oil industry can apply. The oil industry is unique because of the type of jobs involved and the requirement for health and safety. The oil industry and Qatar must develop strategic measures that organizations can pursue in training and development. There is a gap in research as most of the study concentrate on the general and training development. This research will improve existing studies by filling the gap by identifying the specific training and development methods that will work in the Qatar oil industry. Human resource management is the organization of human resource to ensure that a company has the right employees who can promote the vision, strategy, and aims of the company. Human resource management aims at securing, maintain and using an effective workforce to achieve the goals of the company and ensure that a company remains relevant in a competitive market ( Dhar 2015). Ford (2014) explains how the Briscoe study which is widely used in human resource management classified the core human resource functions into training and development, staffing, performance, compensation, employee relations, and benefits and appraisal. Jehanzeb and Bashir (2013) point out that training and development are the most effective human resource management. It ensures that employees remain productive and they can easily adapt to the changing job needs. According to Dhar (2015), training and development are the transfer of knowledge, skills. And abilities that affect required to handle specific tasks. Training and development are used as Human resource strategy to address the current and future challenges of business. Training and development improve the knowledge, skills and attitude of employees hence it is necessary for reaching aims of a firm. Studies have been conducted to measure the efficiency of training and development as human resource strategy. According to Elnaga and Imran (2013), training and development is an important function of human resource management because it closes the gap between current performance and expected future performance. Training and development are used to identify the needs of the workers and based on these needs suitable training and development programs are developed. Training is effective human resource strategy because it provides employees with knowledge to manage various aspects of their life (Jehanzeb and Bashir 2013). Training ensures that employees remain relevant at the workplace by equipping them with new skills and advanced knowledge. As one of the major areas in human resource development, training and development have attracted the attention researchers. Research conducted in this area has had a lot of impact on the training and development in organizations. As researchers continue with the quest in training and development research; they must continue to identify the importance of training in the oil industry. In most countries, the intensification of training and development has been caused by a rise in competition due to globalization. In Qatar, companies have not heavily invested in employee development as opposed to other countries such as the U.K. where training is considerably emphasized (Weerakkody et al. 2015). The sharp fall in oil prices and the reduction in workforce provide researchers with an opportunity to investigate how training and development can restore the oil industry. There are different types of employees in Qatar the skilled employees and semi-skilled employees hence it is important to identify the methods that will be effective in enhancing the knowledge and skills of employees to polish their careers and remain relevant in the market. Training methods are divided into two broad categories the on-the –job training and off- the- job training. On-the –job training is conducted while employees are performing their daily work activities whereas off-the-job training is conducted away from the usual work environment. On-the-job training involves various training methods coaching, job rotation, and mentoring (Storey 2014). Job rotation and transfers improve the skills of employees through the movement of employees from a lower position to a high position. Job transfer involves the movement of employees from one country to another. Job rotation provides employees with an opportunity to acquire knowledge and skills on different company operation (Weerakkody et al. 2015). Job transfers especially when it involves employees from other countries provide employees an opportunity to acquire knowledge on the operations of the company in different countries. The knowledge that is acquired through job rotation and job transfers is beneficial to a company. Job rotation is used as motivation tool by organizations. Job rotation reduces the boredom of repeating the same task every day (Elnaga and Imran 2013). Additionally, when employees are moved to a higher position, they are motivated. Coaching and mentoring is used when the experienced employees coach the less experienced employees. Mentoring and coaching are applied to new recruits to provide them with the right job training. Mentoring is useful because it builds strong relationships in the company. Additionally, it is a good succession strategy for the company where the old employees who will leave the company equip the young employees with the knowledge they have acquired. Orientation is one of the widely used on-the-job training for new employees; it focuses on familiarizing new employees on the job and the organization (Storey 2014). Off-the-job training involves various methods such as conferences, workshops, and role playing. Conferences and workshops involve presentations to a wide audience. Conferences are a cost effective method of training as it reaches a large number of employees at the same time. However, it has certain shortcomings. It may only benefit the employees who learn faster and follow the training session (Phillips and Phillips 2016). Role playing is used when employees are to act out work scenarios. Employees are provided with information on the company and expected to act out their role or provide ideas on how they would go about a certain company problem. Role playing is an effective training method in sales and marketing. Formal training courses are used to develop skills required by an organization (Kehoe & Wright 2013). The course programs may involve traditional classroom training and various work related activities. Empirical studies on the types of training have revealed that Qatar companies must consider some factors when choosing the type of training methods the strategy of the organization, the goals of the company, resources available, target group to be trained, and the need to be identified (Kirat 2015). Oil companies in Qatar mainly look for technical skills hence it is important to determine the type of training methods that can develop these skills. Kirat (2015) recommends companies in Qatar to focus on on-the-job training methods to train fresh employees. Existing employees can use the off-job-training to improve their knowledge and develop more skills that will be used to develop the entire organization. Employee performance can be looked at in terms of the outcomes. Alternatively, employee performance can be measured in terms of the behavior. Employee performance is measured against the performance standards of the organization. Certain measures are used to indicate the performance of employee they include quality, effectiveness, profitability, efficiency, productivity and effectiveness (Kehoe & Wright 2013). Recent research indicates that employee training and development plays a key role in enhancing the performance. Training and development improve the competencies of employees. It equips employees with knowledge, skills, and attitude that is not only necessary in the current job but also in their future jobs. Training contributes to the overall improvement of the performance of an organization. Training has been proved to generate positive impacts on the performance of a company. Gaining new skills and knowledge provides employees with the confidence that they need to complete their tasks. The employees can complete more tasks effectively. Training deals with skills gap in an organization (Storey 2014). Today, the needs of employees are changing at the same rate as the changes in the market. A company must fill the skills gap in an organization by developing various training and development programs throughout the year. Performance is improved through aligning the skills with the goals of the company. Achieving company goals is a top priority activity for every organization. Training and development provide the company with a good opportunity of providing employees with the right skills to achieve company goals. According to Lee et al. (2013), training and development show a positive relationship with job satisfaction, and motivation. Training and development provide employees with knowledge that keeps the employees relevant in the market. As a result, employees are satisfied with their jobs. Training and development also indicate that a company is willing to invest in the employees. The employees feel that the companies value them hence they are more motivated (Lee et al. 2013). Training and development intrinsically motivate the employees since they can complete tasks more efficiently (Kehoe & Wright 2013). The productivity of employees increases and output increases as well which in turn increases the revenue of the organization (Storey 2014). The past studies on the impact of training on performance have revealed interesting findings. Studies have proved training improves performance through the development of knowledge, skills, ability, competencies, and behavior.one of the issue that have been identified in past study is that some studies look at the performance with regards to employee performance whereas other studies look at the organizational performance. Organization performance and employee performance are related in the sense that employee performances improve the general organization performance. Training programs can fail to achieve the objectives when there is a mismatch between the skills gained and those skills that a company requires (Kehoe & Wright 2013). Training needs must be identified before conducting training to ensure that a training program focuses on the skills that employees require. For a training program to meet its goal, it is important to conduct a training needs assessment. Training needs assessment ensures that the resources used in training are directed towards the training programs that the company urgently needs. A training needs assessment can expose performance deficiencies through five ways. The first one is investigating the gap between existing skills and the skills the company requires the second one is an organization assessment. A company can analyze weakness, strengths, and competencies (Storey 2014). As a result, the organization identifies the training programs that can eliminate the weaknesses and enhance the strength of the company. The third one is occupational assessment where the skills of a certain occupation are examined. In occupation assessment, an organization can check job description and determine the competencies that the employee need to develop to meet the job requirements (Milhem et al. 2014). The fourth one is the individual assessment. This one focuses on personal goals of the employees. In training and development, a company must ensure that the personal goals of development of an employee are met. The fifth one is the identifying the training need that will meet the environmental and industry changes. Companies must ensure that employees have the right skills given the changes in the market such as technology changes. With reference to previous studies on training needs, Qataris companies can understand the needs of planning training. Previous studies indicate that the benefits of training are achieved through planning. The first step of planning is identifying the training needs. According to Weerakkody et al. (2015), Qatari companies must start assessing the training needs before embarking on any training development programs. As a result, companies will focus on developing skills that are relevant to the company and will improve the productivity of employees. Training and development, like many other company activities, faces various challenges. The first one is training a huge workforce. Phillips and Phillips (2016) noted that some companies employ a large number of employees and handling training becomes a huge challenge. The main challenges of handling a large workforce include accommodation, foods, arts, and entertainments. The second challenge is finding convenient training time that will have minimal impact on the company workflow. When employees are undergoing training and development program, there may be a shortage of workers resulting in a disruption in the workflow of the company. Sometimes a training program can increase the workload of employees at work (Phillips and Phillips 2016). The employees attend the training, but a large amount of work is piling back at the company, such situations make the training programs less effective. The third challenge is convincing employees that training will be beneficial. Research indicates that it is challenging to convince managers to attend training programs. Junior employees are more willing to attend training program compared to managers. The third challenge is location. When the organization does not have a training hall, it is forced to book hotels or schools which increase the cost of training. The last challenge is the adverse changes in policies and procedures. Companies are now employing employees from different backgrounds. Some employees do not understand English. Companies are forced to train employees differently and develop training programs that meet their needs. The action theory explains how learning is controlled and provides insight on how people can change behavior to meet the requirements of the firm. The theory links behavior to specific outcomes. Action theory is used to address the goals of sustained change. Changes are occurring in the market every day. Training is essential in addressing the changing needs. The action theory stipulates that training employees identifies changes and ensures that training programs match skills gap in an organization (Milhem et al. 2014). The action theory attempts to show how employers can use study the behavior of employees and use it to influence their productivity (Baum et al. 2014). According to the action theory, a firm should believe in the unlimited potential of employees regardless of their position and ability (Patton and McMahon 2014). The managers should have the confidence in the value of collaboration and communication among the departments, and also commit to and implement a regular employee performance. Moreover, it is important for the organization to believe in the power of personal connections and relationships among the staff. Based on the empirical literature review and studies on the impact of training and development on performance, the action theory will be a good fit for the Qatar companies. First, the Qatar companies mainly oil and gas companies hence experience frequent price fluctuations in the global market. According to a World Bank research price fluctuations can cause instability in the market and the companies (Word Bank Org. 2017). The action theory will be used to enhance the learning process and employees will be equipped with skills and knowledge to forecast changes in the market and respond to changes in good time. Secondly, learning should be a continuous process in Qatar firms (Baum et al. 2014). According to action theory, organizations must develop continuous policies of training. As a result, Qatar companies will implement frequent training programs and will not wait for the occurrence of skill gaps to develop training programs. The action theory focuses on the retention of employees. Action theory approaches training and development in a different angle. The action theory links behavior to the outcome (Patton and McMahon 2014). Knowles et al. (2014) point out that the action theory recognizes the adult learning methods hence it can be used to establish effective training programs. Effective training programs will ensure that Qatari firms retain employees. Training will be associated with a sense if achievement and knowledge since employees will develop their inherent capabilities. There will be few cases if job dissatisfaction and turnover will be greatly reduced. Qatari companies strive to be the best in the global market. The price fluctuation in the oil industry has a huge impact on the economy of Qatar. Amidst the changes in the global market, Qatari companies must reinvent to remain competitive in the global market. Qatar companies can greatly benefit from employee training and development. Past studies have shown that there is a positive relationship between performance and employee training and development. Additionally, training and development will lead to job satisfaction and reduce the rate of turnover. Qatar companies need to point out the training methods that are appropriate for the firm. The application of action theory will be effective in identifying the specific training practices that will be effective in Qatari companies. Baum, J.R., Frese, M. and Baron, R.A., 2014. The psychology of entrepreneurship. Psychology Press. Cafiero, G., 2016. Qatar Cuts Spending to Cope with Low Oil Prices. (Updated 1 March 2016). Retrieved from: http://www.mei.edu/content/article/qatar-cuts-spending-cope-low-oil-prices. (Accessed 24 April 2017). Chaibi, A. and Gomes, M., 2013. Volatility Spillovers Between Oil Prices and Stock Returns: A Focus on Frontier Markets (No. 2013-034). Dhar, R.L., 2015. Service quality and the training of employees: The mediating role of organizational commitment. Tourism Management, 46, pp.419-430. El Mallakh, R., 2015. Qatar (RLE Economy of Middle East): Development of an Oil Economy. Routledge. Jolo, H., 2013. Human Capital Formation within Oil and Gas Based Industry: Manager’s perspective. IBA Business Review, 3, pp.95-95. Kehoe, R.R. and Wright, P.M., 2013. The impact of high-performance human resource practices on employees’ attitudes and behaviors. Journal of management, 39(2), pp.366-391. Kirat, M., 2015. Corporate social responsibility in the oil and gas industry in Qatar perceptions and practices. Public Relations Review, 41(4), pp.438-446. Knowles, M. S., Holton III, E. F., & Swanson, R. A. (2014). The adult learner: The definitive classic in adult education and human resource development. Routledge. employees’ organizational trust, job satisfaction, and customer orientation: An empirical examination of responsible gambling strategies. International Journal of Hospitality Management, 33, pp.406-415. Milhem, W., Abushamsieh, K. and Pérez Aróstegui, M., 2014. Training strategies, theories and types. Journal of Accounting, Business & Management, 21(1), pp.12-26. Patton, W. and McMahon, M., 2014. Career development and systems theory: Connecting theory and practice (Vol. 2). Springer. Phillips, J.J. and Phillips, P.P., 2016. Handbook of training evaluation and measurement methods. Routledge. Rodriguez, J.K. and Scurry, T., 2014. Career capital development of self-initiated expatriates in Qatar: cosmopolitan globetrotters, experts and outsiders. The International Journal of Human Resource Management, 25(7), pp.1046-1067. Storey, J., 2014. New Perspectives on Human Resource Management (Routledge Revivals). Routledge. Weerakkody, V.J.P., Al-Esmail, R., Hindi, N., Osmani, M. and Irani, Z., 2015. Localising professional skills development strategies in the GCC: Research and policy considerations for Qatar. http://www.worldbank.org/en/country/gcc/publication/economic-brief-july-qatar-2016. (Accessed 24 April 2017). 1. Here you will bring together the work of the dissertation by showing how the initial research plan has been addressed in such a way that conclusions may be formed from the evidence of the dissertation. 2. No new material or references should be placed here. 3. The conclusions should make a statement on the extent to which each of the aims and objectives has been met. 4. You should bring back your research questions and state clearly your understanding of those questions. 5. Be careful not to make claims that are not substantiated from the evidence you have presented in earlier chapters. 6. If you are undertaking a company project based around a business issue do not confuse recommendations for the company with conclusions. 7. If you want to include a list of recommendations then do so in a separate short chapter. 8. The conclusions address the wider understanding of the issue you have been studying. 9. You should include a short subsection on any suggestions for further research for colleagues who might wish to undertake research in this area in the future. There should also be a short statement of the limitations of the research. 10. Often as a single case study or a limited range of companies you can not really claim that your research holds for all companies. 11. However, by adopting a rigorous approach to your literature review and methods which have validity and can be repeated you can make a reasonable but limited claim that your conclusions should be taken seriously. From this research, it is evident that the oil and gas business is both the largest industry and the wealthiest sector globally. However, despite this impressive economic aspect, the human resource working in O+G companies in Qatar grapples with volatile working conditions, which tend to impact their productivity. The instability of oil prices has often led to reduced oil profits, and in reality, this culminates in serious implications for O+G companies and their employees. As an external factor, any slight drop in oil costs has the potential to bolster the dollar – the global currency in which all oil products and supplies are made. Consequently, because Qatar is largely reliant on O+G, a strengthened dollar affects the performance of local currencies. While Qatar had diversified the risks of this through non-hydrocarbon products, the failure of the regime to put in place a tax structure that adheres to best practices has been its worst undoing. As a result, the poorly formulated tax management structure in Qatar has helped tilt the demand for oil and gas to the disadvantage of the producing country. Through the use of state of the art HRM systems, O+G companies in Qatar can enhance not just their competitiveness but also invest in employee growth. Nonetheless, from the findings; it becomes apparent that five internal HRM practices impact employee performance as a result of plummeting oil prices. Most O+G companies get cash-starved owing to reduced oil prices, as such, most of them try to restructure by doing away with recruitment packages, dignified paychecks, elimination of training and development and lay off employees to be to operate within not just lean budgets but enhance competitiveness. Apart from impacting performance, reduced oil prices drive these companies into an economic downturn, an issue that scales back investments in the O+G sector. As a countermeasure, companies lay off workers hence impacting the HRM activities in terms of reduced productivity. Consequently, the termination of a chain of projects among O+G companies to remain competitive has also culminated to significant job cuts. The reduced organization activities have also been witnessed decreased oilfield service providers owing to plummeting oil prices an issue that affects employee performance in general. Again, the study established that while it is the prerogative of these O+G companies to ensure employees get appropriate training to enhance production and career growth, the companies are unable to meet these obligations because of the low incomes accrued from selling oil. On the contrary, O+G companies have to use hefty finances to procure products and services, which has a direct impact on the performance of poorly remunerated employees. Reduced oil prices have the propensity to create a new market symmetry that has been predicted to be around for the long haul. Essentially, all O+G companies in Qatar are likely to face enormous challenges in trying to balance internal and external variables, an element that has a negative bearing not just on employee performance but company financial portfolio as well. An interesting observation is that Qatar relies on oil and gas to undertake many activities like farming, powering irrigation contraptions and care engines and in the fabrication of fabrics as well as drugs. As such, Oil and Gas is the basis on which many industries are developed to fabricate products that are sold domestically and externally. Moreover, the study demonstrates that plummeting oil prices leads to the decline when it to the production of not just products, but hurt jobs, enhance debt defaults due to inflation, and declined export in oil. Subsequently, the economy hurts in general because drillers may not be able to repay loans that are taken to enhance these activities. With all these variables, such as curtailed cash flows and new credit facilities that are all time exaggerated, businesses tend to starve because of the high-interest rates on loans. By and large, reduced oil prices lower the costs of other products and services, essentially this leads to the restricted shares in the production of different merchandise, the effect of which is felt by employees in different organizations. And yet, because employees matter a great deal when it comes to the performance of any organization, the prudent use of these employees could enhance the company’s wellbeing in the long term. While hiring competent employees is necessary, the HRM should ensure employees are aligned with the goals of the company to ensure performance is measured towards this realization. There is the need for training and education for O+ G Company in Qatar this is because training and education can improve employee performance in comparison to others. As such, O+ G organizations in Qatar allocate enough resources for training and education programs to enhance workers’ skills and knowledge on a regular basis. In turn, this can greatly increase employee performance and achievement of target goals. With regards to the findings, about 59.30% of sampled workers disputed the presence of training plans in their companies, while 40.70% affirmed their presence. This pattern can have significant impacts on employee performance in O+G companies in Qatar as it contradicts previous studies that show that training programs are necessary for terms of increasing employee skills to increase the general organizational goals as well as their performance (Kent Romanoffken 1986). Development and training programs are useful when it comes to the increasing performance of workers. In this respect, development initiatives help workers to learn about (Karasek & Theorell 2012). With regards to O+G companies, development programs can assist in preparing workers for future roles (Root 2014). Following considerable changes in consumer demands and preferences, adoption of development programs is a must. O+G companies should, therefore, implement development initiatives to help their employees gain the required up-to-date skills while helping companies to remain competitive. This can only be effective is development activities match each worker’s roles as well as skills since no employee is ready to take part in a development program that does match their performance goals. This is demonstrated in the findings whereby approximately, 74.19% alleged that they are provided with timely feedback by their managers. This is important when it comes to increasing workers performance, which makes them more dedicated to their duties in oil and gas companies in Qatar. Due to the decline oil price, O+G companies have reduced investments in training and development because of involved financial restraints. For this reason, this greatly influences employee performance. Findings illustrated that reduction in significantly job performance by roughly 74.44%. In general internal and external factors including training and education programs; workplace environment; management style; organizational culture; organizational structure; motivation; development and training plans have considerable affected O+G companies in Qatar after 2015 oil and gas price reductions. Good performance should focus on understanding employee needs and formulating working systems that match with work-related demands. High productivity is also an aspect of linking employees in different departments in a given organization. The integrated application of HRM systems to enhance the competitive aspect of O+G companies in Qatar should be prioritized. Moreover, the attainment of quality outputs is anchored on the leadership style. The democratic leadership style, for instance, has the propensity to motivate employees to work towards meeting deadlines effectively. To this effect, it is vital to acknowledge the fact that proficient human resource practices have a positive effect on the performance of workers within the firm. Employee performance is also dependent on the workplace environment. As such, in O+ G companies’ employee performance is determined by workplace setting. For instance, a positive working environment should involve support from senior executives, supportive colleagues and motivation. On the other hand, in uncomfortable workplaces are associated with senior managers undervaluing employees and hostile colleagues, which significantly minimizes employee performance. Generally, workplace setting as a vital aspect of performance as it can help in ensuring that workers in O+ G organizations are contented. Satisfied workers with the working environment are likely to perform better. This should, however, be accompanied by promotions and participation in recreational activities that are useful in enhancing health, self-esteem, and confidence while minimizing stress. Recreational activities in working environment help in increasing employee performance due to improved job satisfaction, service quality and productivity (Saira et al. 2016). According to the findings, the majority of employees about 74.73% like their current working environment compared to roughly 27.27%. This means that O+G companies in Qatar have a supportive as well as positive workplace environment for enhanced employee performance. Nonetheless, work-related stresses can significantly employee performance. Therefore, O+G companies should reduce employee job stress and in turn address issues like absenteeism, poor motivation and less efficient. In turn, this can contribute to a significant amount on sick leaves, reduced efficiency, litigation and medical costs (Karasek & Theorell 2012). This also affects these organizations competitiveness. Leadership style is also important in increasing employee performance. For that reason, senior executives in O+ G companies should have strong management style to trigger performance of workers. There is a significant relationship between leadership behavior and degree of performance of workers, or instance, leaders that motivate employees within the organization get the best o workers (Lepine et al. 2016). By and large, leaders are instrumental when it comes to influencing workers to achieve O+ G companies’ goals. For that reason, management behavior and styles can be beneficial for work results and the way in which duties are performed. The widely used management style in oil and gas firms in Qatar is a democratic leadership style that gives workers opportunities for autonomy as well as personal growth. About 41.30 % of participants reported that their companies used democratic leadership style while 17.39%, 19.57% and 21.71% practice authoritarian, Laissez-Faire and autocratic styles respectively. With regards to employee autonomy in O+G companies has decreased following the reduction of oil prices. When it comes to influencing of leadership style on employee performance, about 32.62% agreed, 33.70% disagreed, while 33.70% stated that management style does not impact employee performance. In general, leadership style affects employee performance in oil and gas companies in Qatar. Again, organizational culture is an essential element that influences the performance of workers in O+ G companies. These Organisations’ culture greatly influences the manner in which employees interact with not only suppliers but also clients and colleagues. Organisational culture comprises of firms’ growth strategies, employee empowerment and management attitudes towards employees (Lefifi 2015). Therefore, organisational culture has various influences on performance O+ G companies. For example, organisational culture has a different degree of influence on employee performance. Usually, workers strive to work hard to realize the firm’s goals if they are considered part of the organisational culture. This is because organisational presents a structure about employee behaviors. As such, O+ G companies should see organisations as part of the organisation to foster their expansion and growth and dedicate of workers towards the firm. This way the organisational culture can help workers align their goals with the O+ G companies’ objectives while being accountable to the wellbeing of firms. Continuous recognition as well as reward of workers in O+ G companies by senior executives the considerably increases job contentment. In such organisational cultures, workers are committed to realize target objective, thus a positive impact on the general the performance of the O+ G companies. Managers should be facilitators to help address the challenges of the lack of cooperation within organisation that can contribute to performing tasks in san loss or reducing attempts o the organisation, which ultimately affect the general wellbeing of the firm. Basically, organisational culture is an important determinant of performance of workers in O+G companies; therefore, negative elements that hinder worker performance must be eliminated to foster a positive culture in workplace (Root 2014). Another internal aspect important is job position, which does not affect employee performance though essential when it comes to organisational structure. According to the findings, there are three major job positions including staff, middle level management and senior executive that was represented by 57.45%, 29.79% and 12.77% respectively. This position must be reflected in the organisation’s job positions. Motivation is another factor that can considerably increase employee performance in O+ G companies. In this regards, motivation can take many forms including monetary benefits, training programs to further career growth, participation in organisation’s projects among others. Findings demonstrated that career paths that allow employee growth and are found common in oil and gas companies in Qatar, this was reported by 74.47% of employees. This is an indication the majority of employees in oil and gas companies can undertake career growth through education and training programs provided by these firms. Good motivation strategies can guarantee employee productivity. In particular, motivation is the driving force when it comes to attain the organisation’s goals and objectives. The degree of worker motivation can directly influence performance of workers in O+G organisation in Qatar. Motivation alone is not adequate; instead it should be integrated with knowledge, skills and competencies to lead to increased performance. Positive reinforcement are important in increasing workers performance level, as regular feedback and recognition presents employees with psychological feeling that in turn affects performance in a positive manner (Ewenstein, Hancock & Komm 2016). Based on the findings a number of workers are satisfied with their respective job positions in O+ G organisations. These findings demonstrate significant degree of motivation among workers that subsequently increase their performance. There are different organisational structures such as innovative, divisional, professional, bureaucratic and flat organizational structure. Employee performance is determined by the type of organisational structure (Lefifi 2015) As such, O+G companies should adopt a bureaucratic structure where tasks are formalised as well as structured and characterized by policies and procedures, which hinders workers from being innovative. On the contrary, O+G companies can adopt informal and unstructured organisational structure as it widely used in other regions and gives employees the freedom when it comes to carrying out tasks (Lefifi 2015). Findings show that many workers in oil and gas firms in Qatar work under stringent management, however a few do minimum tasks to keep their jobs. For example, approximately 45.26% reported that they do minimum duties to keep their jobs while 54.73% do not such an idea. It is acknowledged that international decrease in oil price has affected job performance, therefore; oils and gas companies in Qatar should adopt empowerment motivational tactics to help counter these reductions. Based on the fact that employee performance is reliant on various factors, O+G companies in Qatar should understand such factors and its influence on performance while adopting necessary strategies. This is vital when it comes to harnessing the potential of such factors to enhance the overall performance of oil and gas organizations in Qatar. Largely, internal as well as external forces significantly affect worker performance in workplaces (Ewenstein, Hancock & Komm 2016). Therefore, understanding these forces can be an important milestone as it can help to leverage, tackle and in turn increase workforce efficiency and performance. In particular, decreases in global oil prices greatly affect the performance of workers. For example, reduction of oil price after 2015 in Qatar, external and internal forces like motivation, firm expenditure on workers and dedication. Based on the findings of the study, work experience is important in factor in employee performance. However, future research should be dedicated to understanding why reduced oil pricing bolsters the dollar currency against the local currency, which in turn impairs the smooth functioning of not just O+G companies but employee performance owing to the scarcity of resources. Karasek, R & Töres T 2012, Healthy Work: Stress, Productivity, and the Reconstruction of Working Life. New York City, NY: Basic Books. Lefifi, K 2015, The relationship between organizational culture, structure, and performance. Journal of Business Research, 61(7): 123-134. Root, GN 2014, Factors affecting employee performance. Journal of Management, 45(12): 134- 139. The first assignment is to produce a research report (max. 3000 words) based on an analysis of qualitative data you will each collect by undertaking an interview. Your task is to conduct an interview, record it, transcribe a sample of your recordings, undertake some initial analysis of the content of the conversation and reflect on the process of collecting data this way. It is expected you will support this using insights gained by your wider reading on the subject of qualitative interviewing. to promote reflection on the process of doing qualitative research. This will involve using interview approaches to probe the subject and gather and analyse your interviewee’s own responses to this topic (in his or her own words). The expectation is that you will interview a fellow postgraduate student, possibly someone from your own course (but you can interview a postgraduate student from outside the LSBF if you wish). You will have to use your initiative to find a person who will be willing to be interviewed. It is preferable to make contact with someone you don’t know very well; a useful approach to do this may be to seek someone who is a friend of a friend. Alternatively you may be able to identify an individual who is an expert in the field of research you wish to explore. This brings the benefit of generating useful primary evidence contributing towards your dissertation project. It will make sense, if you are interviewing a fellow student, to ask them about their proposed dissertation topic since they will be motivated to discuss this. They can then return the favour if you choose to be their interviewee. Give yourself plenty of time to set up the interview. Having made contact, you will have to explain what the interview is about and arrange a time and date. The interview should take place at a location where the interviewee feels comfortable but also where you are both safe, for example, in a public space or business school building during normal office hours. (University guidance on lone working can be found at https://portal.lincoln.ac.uk/C1/hs/Health Safety Handbook/S, Lone working policy and Guidance v1-5.doc). Set aside between 1 to 2 hours for the interviewing; you may not need this long but don’t underestimate how long it may take to undertake a meaningful interview. The intention is to allow the interviewee to talk freely. You decide if you want to use a unstructured or semi-structured interview approach. You must explain your choices in the method discussion of your report. If you use a semi-structured approach prepare a schedule of interview topics you think it may be useful to discuss (please include these as an appendix to your report and comment on the practical and theoretical relevance of these in your analysis). If you use unstructured interviewing approaches describe in your report how you started the discussion and used follow-up questions. You should lead your interviewee into the topic gently without putting words into his or her mouth; so you should not introduce too much rigid structure or artificiality into the conversation. The atmosphere should be relaxed allowing your interviewee to talk in detail about events important to him or her. Your role is to keep the interview flowing and on-course and respond to their conversation appropriately with follow-up questions and comments. Ideally you want to capture rich, descriptive details of their experiences and perspectives. Each student is to conduct their own interview with a relevant participant and should consider (through appropriate reading) how to conduct this successfully. The report should discuss who you selected (a general description, without identifying the individual); why you selected them and how you set up the interview with them. Ethical guidelines are emphasised and you should ensure that you follow these (including for example considering issues of informed consent and confidentiality). The interview must be recorded – this must be kept safe and made available to the tutor if requested. You should be able to use your phone, mp3 player, computer or a recorder to complete this task. 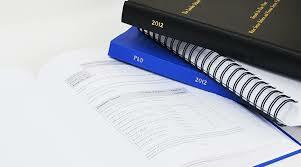 Your report should include an account of the methods used and your methodological approach. Academic references should be used to indicate how your approach was informed by background reading on qualitative interviewing. You should also discuss how and why any themes were chosen to help structure the interview and how the resulting data was analysed. The assignment must include a transcript of part of the interview; which should demonstrate the use of transcription techniques. Students need to familiarise themselves with the ‘script’ of the resulting interview. They should listen to the tape several times to work out which parts of the conversation are most relevant, interesting and able to demonstrate your transcription skills. This extract from the interview should be around 500 words and must include (as a minimum) the exact words as spoken during part of the interview. The interview should be conducted in English (even if the interview participants English is not perfect). Your transcript should be of the interview as spoken, and this may include mistakes and unusual sentences. You may however sometimes have to include some explanatory comments in order to make the sense clear to the reader. In the extremely unlikely event you are unable to interview in English you would need to make a full transcription in the first language and then a full translation. Your reasons for doing this must be justified and discussed in the method section and it should be noted that this is NOT RECOMMENDED – as it takes much longer to do and is much harder to capture the meaning of the conversations. Students need to write a short reflection on the interview they conducted. This should include a summary of the findings – including a summary of key themes emerging from the interviews and the lessons learnt. You might want to discuss the differences between your original expectations of themes for conversation and those discussed in the interview itself. You should reflect on the success or otherwise of the interview in addressing the overall original objective of the research. You may want to relate this discussion to the known strengths and weaknesses of the technique you chose (giving academic references). Remember this should always relate to a reflection on the process of your interview and its outcomes not a general discussion. The report should be submitted electronically as ONE document; so as to detect any attempted plagiarism. Please remember that academic honesty is required at all times and your work must be entirely your own. Views and quotes from other authors are encouraged where they add to your argument/discussion but the source of these should be clearly given (as a reference) and all quotations/website extracts must be clearly indicated by using quote-marks. Gummesson E (1991) Qualitative Methods in Management Research London: Sage. Marschan,-Piekarit, R & Welch, C, (2005) Handbook of Qualitative Research Methods for International Business London: Edward Elgar. o present the possibility of publication. High quality throughout with an excellent understanding of the subject. Showing insight and potential for publication with some revisions. Exceptional insight and of publishable quality. o be written and presented to good academic standards. Well developed argument and evaluation. Approaching excellence in some areas. o be presented and written to adequate academic standards. Generally accurate and sound understanding of area of study. Approached good standard in several areas. o conceptual understanding is poor. Overall knowledge limited and poorly presented. Very poor knowledge of subject and weak understanding of issues. Deeply flawed, containing fundamental mistakes. The dissertation topic to be considered concerns the influence the country of origin on consumer behaviour mainly because it is a phenomenon which is significantly affecting international business where consumers prefer products from certain countries compared to others. The research report will specifically involve conducting an unstructured interview inn order to make sure that the questions of concern are answered and the answers provided are analysed for the sake of giving out the research findings in form of a statistical findings which are presentable. According to the selected dissertation topic which is “the influence the country of origin on consumer behaviour”, stating the research problem would specifically involve this issue. For instance, the use of products from outside the home country among consumers worldwide has been increasing despite the production of similar products in their countries which are made locally. This implies that consumer behaviour, and particularly the perceptions and attitudes of local consumers towards products made in varied countries seem to be different. However, it is important to note that the noted variations in perception and attitude among consumers can be attributed to the influence of country of origin on consumer behaviour mainly because it affects the perceived value and perceived quality of the product in market, eventually influencing the loyalty of consumers towards particular product brands. The purpose of this research is to the influence of country of origin effects on consumer behaviour among consumers as well as their perceived quality and value of certain products manufactured in various countries, and how this relates to consumer loyalty towards the considered product. To examine influence of the effects of a product’s country of origin on consumer behaviour among consumers. To establish how country of origin influences consumer loyalty towards a product. How does country of origin influence consumer behaviour among consumers? How does the country of origin effects influence consumer loyalty towards a product? This kind of research has crucial importance mainly because country of origin has in the recent past become an important factor in the determination of consumer behaviour in international across the world. This implies that, the findings of this research would be of great help to manufacturers of various products both locally and internationally because they would of critical significance in helping them to understand the influence of country of origin effects on consumer behaviour. This would help to enable manufacturers and marketers to devise the necessary competitive strategies which would help in terms of survival, customer retention, market share expansion, and building product loyalty among consumers. This research used unstructured interview to collect information from a postgraduate student within the same department who was not my friend, but a friend of my classmate. A student within the same department of business was selected mainly because such an interviewee would be in a better position to understand the issue and/or phenomenon under study thereby making sure that the answers given to the questions asked during the unstructured interview are more appropriate and precise to the intended outcome (Denzin and Lincoln, 2005). The postgraduate student selected to participate in the unstructured interview is in his first year of studies, but has diverse knowledge on various contemporary business topics especially those concerning international business considering that the interviewee has significant experience in international business. The choice for an unstructured interview to conduct this study was mainly because it is a spontaneous conversation, which does not involve asking of specific questions in a predetermined order since it involves collection of information concerning varied aspects of the issue and/or phenomenon under investigation (Silverman, 2000). The reason why unstructured interview was selected is due to the fact that the research respondents and/or participants and the researcher engage in a formal interview where both schedule time to sit and speak with each other in an interview in order to get answers for all the questions (Patton, 2002). Despite the unstructured interview not having a particular schedule, the interviewer has a clear plan in mind concerning the goal and focus of the interview mainly for the purpose of guiding the discussion. Moreover, a structured interview guide is not available and the interviewer builds rapport with the research respondents and/or participants by getting them to willingly open-up and express their views and opinions in their own way (Gillham, 2005; Saunders, 2006). This is mainly attributable to the fact that questions asked are usually open-ended and express little control over the responses of the informants. This implies that unstructured interview should be used when significant understanding has been developed about the research topic as well as the research setting. This is mainly because this would allow an open discussion between the interwar/researcher and the interviewees making sure that succinct, explicit and precise answers about the considered questions are obtained from the research respondents. Additionally, during an unstructured interview which often consists of open-ended questions and discussions, details of the interview particularly those concerning the main issues of the research should be recorded either manually using a pen and paper or digitally using recorders (Marschan-Piekarit and Welch, 2005). This is usually very essential in helping the interviewer towards focusing on the interaction with the research respondent or participant and following the discussion. Furthermore, the unstructured interviews have many benefits which continued to make them useful against other methods of research. Firstly, the unstructured interviews are helpful in developing an understanding of the issue or phenomenon under investigation explicitly (Mason, 2002). Secondly, unstructured interviews are essential in allowing researchers towards focusing on the respondents’ talk on the research topic, and in most cases it gives the researchers an opportunity to test their preliminary understanding regarding the research topic, while still giving them an opportunity for new ways to see and understand the research topic. Finally, the unstructured interviews are in most cases used as crucial preliminary steps in the process of developing more structured interviews (Eriksson and Kovalainen, 2008). Additionally, ethical issues must also be considered in the research methods mainly to make sure that the research is ethically upright in terms of the main ethical issues which must be considered for the purpose of making sure that there is no violation of ethical issues because the research includes human subjects and/or subjects (Gummesson, 1991). In particular, obtaining informed consent as well as privacy and confidentiality are the most significant ethical issues that were considered during this research. For instance, informed consent must be obtained from all the research respondents and/or participants to make sure that all those taking part in the research do so willingly and without any form of coercion. This indicates that any information gained from the research respondents and/or participants would be relied upon in the analysis of the research findings since no single respondent or participant was forced to take part in the research process (Saunders et al, 2006). The other ethical issues that were considered in this research include confidentiality and privacy which particularly regards that any information obtained from the research respondents and/or participants should remain private and confidential. This means that any unauthorized person should not be allowed to access any information obtained from the participants of the research unless the necessary authorizations are granted (Burns, 2000). This helps in making sure that the identities of the individuals from where the research information is obtained are not reveal to avoid compromising the validity and reliability of the research findings. The recorded information should then be kept safe and away from any unauthorized individual for the purpose of making sure it can be retrieved at a later date in a good form which would enable it to be used for many times throughout the research period without compromising its quality or content (Bryman and Bell, 2007). This section presents the actual questions asked during the conversation between the interviewer and interviewee in a chronological manner whereby the opening conversation is involved together follow-up questions as well as closing remarks. The first set of questions concerns the process involved in preparing and writing a dissertation meaning that the questions are specific to the process of writing a dissertation. Additionally, considering that the research topic involves a study of the influence of country of origin to consumer behaviour amongst consumers, it is important specific questions concerning the topic will also be asked as shown below for the purpose of making sure that the goal or aim of the research is achieved. 8 Semi-structured interview helps to generated data in an orderly manner through a set schedule, but rigid. Unstructured interview is easy to conduct, but the collected data not orderly. The above transcription clearly shows that a succinct understanding of the general process of writing a dissertation is very critical. Particularly part A of the interview confirms this. Additionally, part B of the interview which covers specific research topic questions reveals a strong relevance of a product’s country of origin in influencing consumer behaviour. When reflecting on the findings obtained from the interview that was conducted during this research, it is important to note that there are various issues that can be observed particularly on the research findings and the entire research process. For instance, a reflection on the interview that was conducted indicates that interviewing a post graduate student was more appropriate in making sure that the research respondents and/or participants give effective answers towards the asked questions. The interview answers also provided insights into the entire process of writing a dissertation. In addition, interview was also done on the selected research topic showing that the answers given to the asked questions were relatively appropriate meaning that there was a relationship between the country of origin and consumer behaviour of the considered research respondents and/or participants. Therefore, it important to consider that the interview conducted during thing this research reveals that all the questions asked by the researcher or interviewee were succinctly answered all at once and very few follow-up questions were asked due to explicit answers provided to the questions asked. 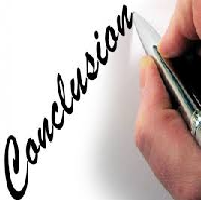 However, despite the fact that answers to all the questions which were asked are answered, it is necessary to note that the answers provided can be directly used for analysis in order to make sure that conclusions can be made from the research findings as a way of ensuring getting important meaning of the information obtained from the research respondents or participants during the research. A consideration of the research findings in summary indicates that there is a very strong relationship between the country of origin of a product and consumer behaviour towards it mainly because consumer behaviour is determined by attitudes and perceptions of consumers towards the product. Precisely, the findings obtained from this research shows that many consumers usually consider the country of origin of the respective products as an important factor prior to making purchasing choices. According to the research findings the process of product evaluation generally evokes some associations which are brand-specific stored within the memory of the consumers which end up contributing to the overall brand image (Williams and Page, 2011). The findings of this research also reveal that this is a very essential aspect of consumer behaviour mainly because it allows for differentiation between products which are manufactured in different countries meaning that the country of origin effects constitute one of the essential aspects of consumer behaviour due to the fact that their ability for allowing consumers in developing generalizations, perceptions and attitudes concerning a product’s country of origin, which is a crucial basis of consumer’s evaluations of products and/or brands (Drozdenko and Jensen, 2009). The research findings imply that consumers’ micro and macro country images have the potential of significantly influencing consumer behaviour which means that country or brand image which are often created based on the associations of country of origin effects with perceived quality of products made in the same country influence the key brand equity dimensions such as brand loyalty and brand associations (Shlomo and Jaffe, 1996). According to Koubaa (2008) the moderation of country of origin image effects on a brand is mostly done by both brand and country reputation. This is a clear indication that there is a direct relationship between consumer loyalty and/or consumer behaviour with a country or product image implying that products from various countries are in most cases evaluated differently on the basis of the image of their country of origin from the perspective of consumer’s attitudes and perceptions (Cai, et al. 2004). Finally, a key reflection of the research findings and the entire research process shows that there is need to prioritise primary research because it allows collection of original information and/or data. This means that the obtained information would be very essential to determine how the final research will be carried out; hence, the findings obtained from the unstructured interview would form an important basis for a more structured interview and/or study because it provides a framework for conducting a more robust and bigger study which would be carried out for research findings which are more valid and reliable. A combination of these reflections indicate that using a good research design as well as a good research methodology would result to appropriate findings which could be applied in many situations of contemporary business dues to their validity and reliability which ensures that they can be replicated to a variety of situations. Furthermore, consumer behaviour is considered to be highly dependent of the perceptions and attitudes of the consumers towards certain products and services, and country of origin has been determined to be one of the important aspects because research findings reaffirms the same. Bryman, A. and Bell, E. (2007), Business Research Methods, 2nd Edition. Oxford: Oxford University Press. Burns, R. B. (2000), Introduction to Research Methods. London: Sage Publications. Cai, Y., Cude, B. and Swagler, R. (2004), “Country-of-origin effects on consumers’ willingness to buy foreign products: an experiment in consumer decision making”, Consumer Interests Annual, Vol. 50, pp. 98-105. Denzin, N. and Lincoln, Y. (2005), The SAGE handbook of Qualitative Research London: Sage. Drozdenko, R. and Jensen, M. (2009), “Translating country-of-origin effects into price” Journal of Product & Brand Management, Vol. 18 No. 5, pp. 371 – 378. Eriksson, P. and Kovalainen, A. (2008), Qualitative Methods in Business Research. London: Sage. Gillham, B. (2005), Research Interviewing: The Range of Technique. Maidenhead: Open University Press. Gummesson, E. (1991), Qualitative Methods in Management Research. London: Sage. Koubaa, Y. (2008), “Country of origin, brand image perception, and brand image structure”, Asia Pacific Journal of Marketing and Logistics, Vol. 20 No. 2, pp. 139-155. Marschan-Piekarit, R. and Welch, C. (2005), Handbook of Qualitative Research Methods for International Business. London: Edward Elgar. Mason, J. (2002), Qualitative Researching. London: Sage Publishers. Patton, M. (2002), Qualitative Research and Evaluation Methods. Thousand Oaks, CA: Sage Publications. Saunders, M et al (2006), Research Methods for Business Students. London: Financial Times/Prentice Hall. Silverman, D. (2001), Interpreting Qualitative Data: Methods for Analyzing talk, text and interaction. London: Sage. Shlomo, L. and Jaffe, E. (1996), “Country of origin effect on international market entry”, European Journal of Marketing, Vol. 32 No. 1/2, pp. 61-72. Silverman, D. (2000), Doing Qualitative Research: A Practical Handbook. London: Sage Publishers. Thomson, S. B. (2011), “Sample size and grounded theory”, Journal of Administration and Governance, Vol.5 No.1, pp. 45-52. Williams, K. C. and Page, R. A. (2011), “Marketing to generations”, Journal of Behavioral Studies in Business, Vol. 3 No. 1, pp. 37-53. How do you select the research topic? After selecting the research topic how are research questions, aims and objectives formulated? What is the importance of research questions, aims and objectives? How should a dissertation be structured? 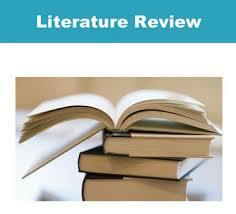 How does literature review help in the process of writing a dissertation? What influences the research type and/or design adopted by the researcher? What influences the type of interview adopted by the researcher either semi-structured or unstructured? What are advantages and disadvantages of both types of interview? How does the researcher make sure that the research findings are valid and reliable? What is sampling in qualitative research? What is a population in a qualitative research? What are the ethical issues considered by the researcher if a researcher involves human subjects in the study? What are the most common methods of representing data collected in a research? Why is it necessary to discuss research findings? When purchasing a product, what is your preference? Do you know the product of origin of all the products which you purchase? When a lot of equivalent products are available, do you prioritise the product’s country-of-origin prior to purchasing? When you do not know a product’s country of origin, do you refuse to purchase it? When purchasing a product, do you believe that its technological aspects are determined by the country of origin? Do you believe that the quality of a product is determined its country of origin? When purchasing a product, do you always seek to know its country of origin? Which are the countries from where you mostly purchase their products? Interviews are significant in getting the story or the reason behind the experiences of the respondent. As such, interviewers can manage to use interviews in pursuing in-depth information on a given topic. Interviews may be vital as follow-ups to certain participants to questionnaires such as further investigation of the respondents’ responses. In order to gain adequate information on a given topic, interviews should ensure that they use open-ended questions as opposed to closed or rigid ones (Mason, 2002). Open-ended questions are vital as they provide the respondent with a suitable platform on which he or she can give various opinions on the questions asked. Interviewers should ensure that they are articulate their problem of research clearly prior to the designing of the interview process and questions. This step is significant in ensuring that the interviewer keeps a clear focus on the purpose of each question. My interview involved one of my course-mates as the interviewee. I chose this person because being that we were doing the same course and I had selected a research topic within my course, this interviewee could be in a suitable position of providing me with relevant answers. In the process of conducting my interview, I had to follow several steps, which enabled me to perform a successful interview. The first step involved the selection of a suitable setting that had minimal distraction. This setting was significant in ensuring that the interviewee was comfortable during the interview (Nuttall, 2011). I then proceeded to explain the purpose of the interview to the interviewee followed by addressing the terms of confidentiality. In relation to this, I pointed out the parties that will have access to the answers provided by the interviewee and how such answers could be addressed. This step was vital in ensuring that the interviewee was made comfortable in responding to the questions asked without fear. In addition, I illustrated the format of the interview to the interviewee and indicated its duration. Consequently, I informed the interviewee on how I could be contacted after the interview in case it was necessary. Prior to the interview, I asked the interviewee if there was any question to be asked and asked for the permission to record the interview. As an ethical guideline, seeking the permission of the interviewee prior to the recording of the conversation was aimed at ensuring that the aspect of the interviewee’s consent was addressed (Saunders et al, 2006). As such, the recording process could not hinder the interviewee from issuing appropriate answers. The process of recording was conducted using a mobile phone, as it was convenient to use at that time. In this study, semi-structured interview was employed. Semi-structured interviews are often conducted with an open model that allows for a focused two-way communication, which is conversational. Such interviews can be used to give and receive information between the interviewer and interviewee (Quesenberry et al, 2012). Unlike the questionnaire model, where detailed or in-depth questions are formulated ahead of the interview time, semi-structured interviews often begin with more general topics or questions. Once the topic has been identified, the relationship existing between these topic and issues like expense, availability, and effectiveness become the basis for more specific questions that do not require advance preparation. It is vital to note that in semis-structured interviews not all questions are designed and phrased before the time of interview (Silverman, 2001). As such, many of the questions are developed during the process of interview, thereby allowing the interviewer and interviewee the flexibility of probing for more details or discussing issues. Semi structure interviews are always aimed at obtaining certain qualitative and quantitative information from the sample of the population to be studies. Besides, such interviews are focused on obtaining general information that is relevant to certain issues under study. Consequently, semi-structured interviews are significant in ensuring that the researcher obtains a series of insight on certain issues. Semi-structured interviews are less intrusive to individuals being interviewed as they encourage two-way communication. Semi-structured interview allows for the interviewees to ask questions of interviewers. As such, this form of interview can be employed as an extension tool. Furthermore, semi-structured interviews serve to confirm what is known apart from providing an opportunity for learning. In many cases, the information obtained from semi-structure interviews provide answers and reasons for such answers. As such, these interviews provide a suitable platform on which an in-depth understanding of the issue under investigation can be achieved. When people are interviewed using such form of interviews, they often find it easy to discuss or deliberate on sensitive issues. It is significant to note that interviewing outsiders using semi-structured interviews is often appropriate as such respondents are considered objective. In the use of this tool, the first step involved the designing of the interview model in which the questions to be asked were included. This step was followed by the establishment of the sample size in which one respondent was selected. The selected respondent happened to be my course-mate. The interview was then conducted followed by the recording of the responses obtained from the interviewee. The data obtained from the interview was then analyzed qualitatively. Qualitative data analysis aims at uncovering or creating an understanding of the big picture by using the data to illustrate the phenomenon and what this implies (Silverman, 2001). Just like in the case of quantitative analysis, qualitative analysis involves coding and labeling of all the gathered data so that differences and similarities can be identified. In relation to this, responses from unstructured qualitative interviews as in the case of the data obtained from this study can be entered into the computer and processed. Since qualitative researcher lacks a pre-coding system, a mechanism of labeling and identifying or coding data should be developed. Such a mechanism is known as content analysis. Content analysis involves the categorization of behavioral or verbal data for the purpose of research. This process takes into consideration the aspect of coding and grouping data, also known as categorizing and indexing. The principle objective of content analysis is to create sense out of the gathered data and highlight the significant messages, findings and features. In relation to this, the data obtained from the study was analyzed using two methods that included the latent level and basic level. In the latent level, data was analyzed in relation to the responses obtained and what was implied or inferred by the interviewee. On the other side, basic level evaluation involved the descriptive or illustrative account of the gathered data. It focused on the analysis of what was said by the interviewee but not supported by theory. Interviewer: Hello, how are you doing? Interviewee: I am doing fine, what about you? Interviewer: I am doing fine too. I would like to interview you on the effectiveness of integrated marketing communication in organizations. Before we start I would like to ask if you are comfortable with the interview. Interviewee: no problem, I am fine with it. We can proceed. Interviewer: Okay, first I want to let you know that the information that you will give will be kept private and confidential. Besides, in the process of conducting this interview, your name will remain concealed from any third party. The only person that will have access to the information provided will be me. However, my supervisor can have access to the data that you have provided but your name will be kept confidential so you will not be identified by anybody. So you do not have to worry about the issue of privacy. Is that okay with you? Interviewer: Well, prior to that, do I have your permission to record the conversation that we will have? Interviewer: Well, what do you know about integrated marketing communication? Interviewee: Yes, this is a marketing strategy that incorporates other elements of marketing such as direct marketing, advertising, public relations, advertising and sales promotion into a single marketing plan. Interviewer: how effective is this marketing strategy? Interviewee: it enables various elements of marketing to be brought together, which is vital in ensuring that the brand message is sent to buyers in an effective manner. Interviewer: What can you say about the cost of this marketing strategy? Interviewee: it is cheaper than other strategies as it involves all marketing promotion methods being conducted jointly at the same time. Conducting each of these promotions separately is expensive as opposed to conducting them jointly. Interviewer: What can you say about the reliability of this marketing strategy? Interviewee: it is reliable as various capabilities of different promotion methods are exploited. As such, organizations must benefit from the impact of any of those methods. Interviewer: How can companies enhance the effectiveness of this strategy? Interviewee: Firms should channel adequate resource into this marketing strategy and conduct proper trainings to the promotional teams. Interviewer: What are some of the weaknesses of this marketing strategy? Interviewee: It demands many resources and time in its planning and execution. It is also complex and requires high technical skills for the realization of its benefit. Interviewer: What can you say about the efficacy of this marketing strategy? Interviewer: Can you mention some of the marketing strategies that can be used as substitutes to this one? Interviewer: How can firms adopt this marketing strategy and benefit from it? Interviewee: Organizations that are not using this marketing strategy need to restructure their marketing plans so as to provide room for this marketing strategy. Besides, once the firms have adopted this approach, they need to conduct frequent reviews on this marketing strategy in order to determine areas of weaknesses. Necessary measures such as investment of adequate resources into such areas should be adopted. Without appropriate research consumer group would be unable to take firms to courts, advise the public on the best products to purchase or call for legislation changes in a credible manner. Besides, without effective research solutions to many issues that are significant in human lives could not have been established (Callegaro, 2013. 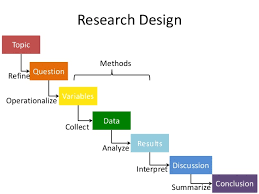 As such, effective research should take into consideration four stages that include preparation, selection of the research method, collection of information and data, and evaluation of the research findings alongside putting them into good use. In the preparation stage, the researcher should focus on conducting a preparatory study. Once the problem of study has been identified, the researcher should embark on organizing suitable means and mechanisms of executing the research (Bryman & Bell, 2007). In case the researcher lacks adequate knowledge on the area of study, he or she should focus on conducting a further research on the selected topic. This goal can be accomplished by means of consulting experts in the chosen field or going to libraries for books that focus on the subject, issue, or topic to be investigated. At this stage, the researcher should ensure that he or she makes crucial decisions on issues such as the study’s objectives, scope of the study, research methods to be employed in the study, timetable for the research activities and costs involved in the execution of the research. It is vital to note that the implementation and preparations for the research should be linked strongly to the purpose of the study (Weijters, 2012). I remember incorporating most of these approaches in the early stage of my preparation for the study. The first step that I undertook prior to commencing the study was conducting an in-depth research on the research topic that I had selected. I read various books and scholarly articles that addressed the research topic so as to have adequate knowledge on the study I was to undertake. At this stage, I focused on addressing the scope of my research and the resources that I could need during the process of its execution or implementation. I also prepared a timetable that could provide a guideline for the execution of the various operations involved in the research. Besides, I read about the suitable methods that can be employed in executing a successful interview, as my study had to involve an interview. This undertaking was significant in ensuring that my interview was a success. I managed to select a suitable site for the interview alongside following other guidelines that are necessary for the execution of a successful interview. As a result, the interviewee managed to corporate effectively during the interviewing process, which enabled me to obtain adequate information on the topic of study. The effective corporation on the part of the interviewee resulted from the fact that he was assured of the privacy or confidentiality of the information that he had to provide. Thus, the interviewee answered the questions asked without fear or bias. In the second stage of a successful research process, the researcher should focus on selecting the appropriate research methods that can be employed in executing the study. In order to ensure that the data gathered are significant or meaningful for the objectives of the study, the researcher should decide on the appropriate method of conducting the study (Eriksson & Kovalainen, 2008). My study was not complex in relation to the selection of the sample population as I had to select only one respondent that happened to my course-mate. In selecting this respondent, I had to inquire from some of friends about somebody who could participate effectively in an interview. As a result, one of my friends referred me to the respondent that I had selected. In addition, my research employed a semi-structured interview as a method of data collection. I selected this method as it associated with several benefits. The use of the semi-structured interview enabled me to develop flexibility in probing for extra details on the topic of study from the respondent. It also helped me in obtaining specific qualitative data on the issue under study, and general information that was relevant to the issue that was under investigation. Furthermore, the use of this form of interview enabled me to obtain a sequence of insight on certain matters that related to the topic of study (Gummesson, 1991). Taking into consideration the fact that semi-structured interviews are less intrusive to persons being interviewed, this form of interview ensured that there was a two-way communication between the interviewee and I. As a result, the interviewee was also put an advantage of asking me questions on the areas that were not clear. Moreover, my research was an explanatory one as opposed to being a correlative research. A correlative research aims at establishing whether there is a correlation or link between two or more variables in the research. On the other hand, an explanatory research seeks to establish why a given a variable causes the impacts or effects highlighted alongside measuring this variable against others. The third stage of a successful research process involves the collection of the data. Methods that researchers use in the collection of data are determined by the relations and variables of the research (Denzin & Lincoln, 2005). Data types are categorized into two groups that include secondary data and primary data. Primary data is gathered and targeted specifically for the project of the research. On the other side, primary data takes into consideration extra data that is gathered for other reason but with some application in the study. In addition, data collection can be grouped into various forms such as cross-sectional research, longitudinal research, non-participant observation, participant observation and oral among others. Cross-sectional research occurs when data is gathered simultaneously with the happening of events of the study, and thus is relatively easy to gather or collect. Longitudinal research is the collection of data over time to enable researchers to prove that there is a predictable end. Non-participant observation occurs when the researcher is involved in the recording of actions, behaviors, and events as an outsider. Participant observation occurs when the researcher conceals the real reason of his or her presence as a participant (Marschan-Piekarit & Welch, 2005). An example of this form of data collection is mystery shopping. Oral data collection method is often conducted using personal interviews and group discussions, and is mostly employed in the gathering of qualitative data as in the case of my research. In relation to this, my study employed the oral method of data collection in gathering information from the respondent. During the data collection process, the oral communication between the interviewee and I was recorded using a mobile phone for further analysis and safe storage of data. I also remember obtaining some information that I had forgotten from the recorded version of the interview. As such, recording of data plays a significant role in ensuring that all the relevant data is gathered and stored safely. The last stage of a successful research involves data analysis. My research focused on the investigation of the use of integrated marketing communication in organizations. As such, the findings of the research focused on the areas of cost, efficacy, reliability, alternatives, effectiveness, and weakness of the integrated marketing communication approach. In relation to the findings of the study, integrated marketing communication strategy was noted to be efficient and cost-effective as it incorporates various promotional elements such as advertising, personal selling, and public relations among others. As such, marketers can manage to execute different marketing activities within a single marketing concept at the shortest time possible (Chen, 2011). Consequently, this marketing strategy was noted to be reliable as organizations could benefit from certain promotional elements in case of failure of others. Some of the disadvantages that were associated with this marketing approach were high levels of skills and resources that are required for its successful implementation (Spiller, 2013). In addition, the study identified that integrated marketing communication approach lacked suitable alternatives as it incorporates several strategies that are working towards a common marketing objective. Callegaro, K., M. (2013).” From Mixed Mode to Multiple Devices,” International Journal of Market Research, 55(2), pp317-320. Nuttall, P., (2011). “Mapping the Unarticulated Potential of Qualitative Research.” Journal of Advertising Research, 51(1), pp. 153-163. Weijters, T.,B. (2012). Miss-response to Reversed and Negated Items in Surveys: A Review. Journal of Marketing Research, 49(5), pp737-747. What do you know about integrated marketing communication strategy? How effective is the integrated marketing communication strategy marketing? What can you say about the cost of the integrated marketing communication strategy? What can you say about the reliability of the integrated marketing communication strategy marketing strategy? How can companies enhance the effectiveness of the integrated marketing communication strategy? What are some of the weaknesses of the integrated marketing communication strategy? What can you say about the efficacy of the integrated marketing communication strategy marketing? Can you mention some of the marketing strategies that can be used as substitutes to the integrated marketing communication strategy? How can firms adopt the integrated marketing communication strategy and benefit from it?